Category: Simple Cakes. 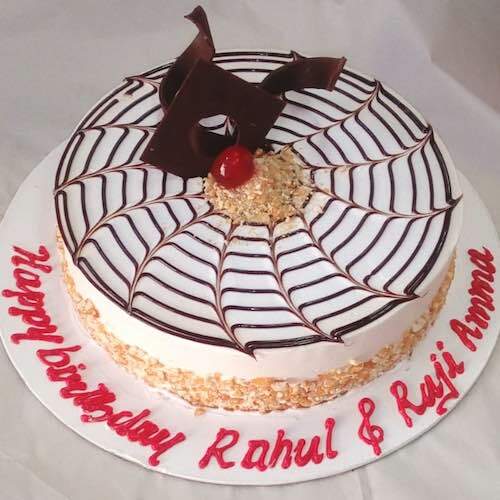 Tags: Birthday Cake UAE, Buttterscotch Cake, Cake Delivery in Abu Dhabi, Cake Delivery in Ajman, Cake Delivery in Dubai, Cake delivery in Sharjah, Cake delivery in uae, Dubai Cake Delivery, UAE cake delivery. A butterscotch cake is a perfect cake for a birthday celebration. Mohbat.ae is doing surprise cake delivery in UAE. For surprise gift delivery for all occasion n Dubai, Sharjah, Ajman, Ras Al Khaimah, Dibba, Fujairah, Um Al Quaiwan and Abu Dhabi please contact us on whatsapp 00971-58-5523437.